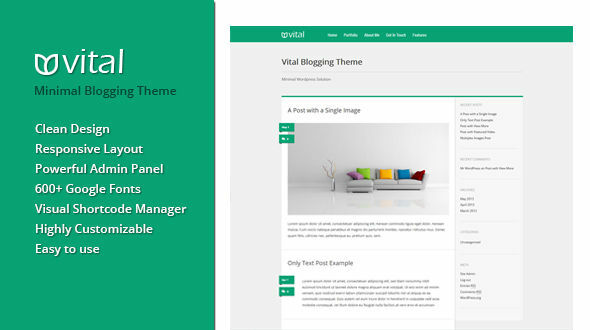 Vital is a Minimal Vanguard Personal WordPress Theme suitable for any kind of user. 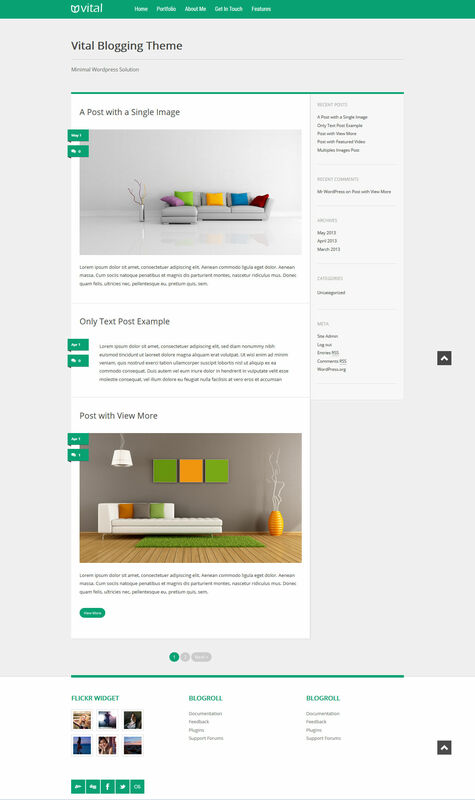 With Vital Theme you could customize background colors, page layouts, fonts, sizes, areas, and much more. Every added option was thought with the main idea of personalize the website in an easy way, providing a unique design to every customer. About Me Manager: Manage your Public profile with meta info, social icons, and more . Custom Sidebars: Add all the desired custom sidebars.